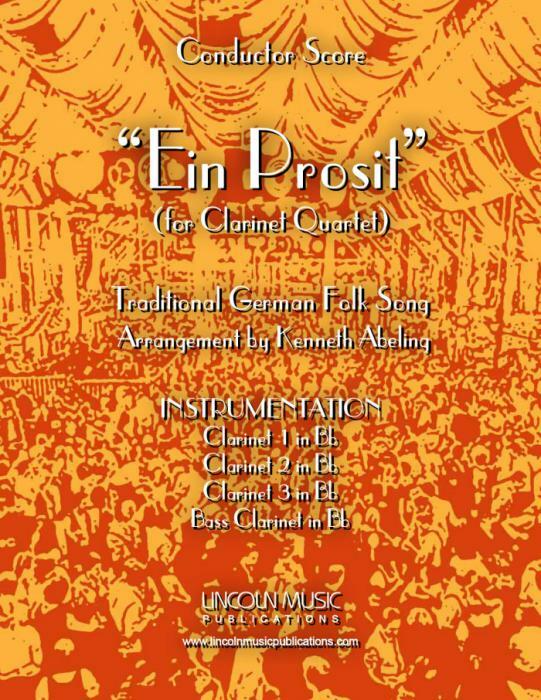 Ein Prosit (traditional German Folk Song) arranged here for Clarinet Quartet by Kenneth Abeling. This the most popular beer drinking song in Germany and perhaps the entire world. It is a must have at any Oktoberfest celebration or wherever adult beverages are being enjoyed! It is an advanced intermediate arrangement with a playing time of 2:30.